Over the last few decades, the lifestyle and eating habits have changed dramatically. Industrialization and urbanization have distorted the nutritional landscape. The discovery of new food preservation techniques and refrigeration has provided us with food products which requires minimal preparation for cooking, and even ready-to-eat meals. However, the food industry is blamed for manufacturing and marketing food products that are loaded with fat, sugar and salt; which play an important role in the development of cancer, diabetes and cardiovascular diseases. These silent killers, also called non-communicable diseases cause about 36 million deaths every year and account for two out of three deaths worldwide. More than ever before, food labels provide a great deal of information about their contents but are far too complicated for the average consumers. 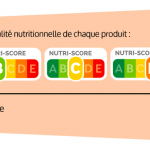 So, the agency Santé publique France has developed the Nutri-Score as part of the National Health and Nutrition Program (PNNS), with the aim to make nutrition label information clearer and more relevant to consumers. The Nutri-Score is five-color logo with corresponding letters (A to E) which indicates in 5 groups the overall nutritional quality of food items. Sometimes affixed to the front of food packages, it enables a good comparison between products within the same shelf and thus helps consumers to choose products of better nutritional quality. The score is calculated by taking into account the foods and nutrients recommended (fiber, proteins, fruits and vegetables) but also the nutrients to limit (calories, saturated fats, sugar, salt) per 100 grams of food. The score obtained is then translated into a letter and color. The method of calculating the score has also been adapted for peculiar food family such as fats (butter, margarine), beverages among others. 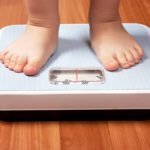 The Nutri-Score has been subjected to scientific scrutiny through epidemiological studies* on the basis of real-life situations and has proved to be a praiseworthy tool that aims to guide consumers towards making healthier choices – which could contribute to curb the current trend in disease and obesity. However, the minimalist nature of the Nutri-Score is viewed by many as much a weakness as a strength as it does not take into account the degree of food processing, nor the presence of additives such as artificial sweeteners and coloring. Yet the health potential of foods lies beyond its nutritional composition; it also (and mostly) depends on the physical structure, the bioactive compounds and the degree of transformation of the food- all of which has an impact on metabolism (satiety, speed of food release, etc.). The NOVA (a name, not an acronym) classification, developed by researchers at the University of Sāo Paulo in Brazil, assigns foodstuffs to four groups according to the extent and purpose of industrial food processing. 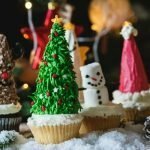 Epidemiological studies have demonstrated a correlation between the consumption of highly-processed foods and an increased risk of cancer, obesity and other diseases. Unprocessed (or natural) foods are the edible parts of plants (such as leaves, stems, roots, tubers, fruits, nuts, seeds) or of animals (meat, offal, eggs, milk), as well as fungi, algae and water. Minimally processed foods are natural foods that have been altered physically – primarily by processes which do not substantially alter the nutritional properties and uses of the food, such as removal of inedible or unwanted parts. For example, crushing and grinding of seeds, roasting of coffee beans, pasteurization of milk, vacuum packaging and refrigeration of meat, etc. These processes are used to preserve the shelf life of the food, allowing their storage and making them safe or edible, or simply giving them great taste and aroma. Group 1 also includes foods made up from two or more items within this group, such as plain muesli. These are food products derived from Group 1 foods or from nature (e.g. salt) by physical or chemical processes which include pressing, milling, crushing, grinding and drying. Their nutritional properties and uses are entirely different from the original food (from which they are derived). Group 2 items are not normally consumed by themselves, rather they are combined with Group 1 foods to make palatable, diverse, nourishing and enjoyable dishes and meals – such as stews, soups and broths, salads, breads, canned goods, drinks and desserts. Few examples are salt obtained from the evaporation of seawater, sugar extracted from cane, honey collected from beehives, vegetable oils pressed from olives or seeds, flour made from wheat, among others. Food items consisting of two Group 2 elements (e.g. salted butter) as well as Group 2 items with added vitamins or minerals (e.g. iodized salt), and vinegar made by acetic fermentation of wine or other alcoholic drinks remain in this group. Moreover, culinary ingredients may also contain additives used to maintain the nutritional and sensory properties of the food, for example, the addition of antioxidants to vegetable oils to delay rancidity and prolong shelf life. Processed foods are made by adding salt, oil, vinegar or any other Group 2 ingredient to unprocessed or minimally processed foods (Group 1). Typical examples of Group 3 items are canned or bottled vegetables and legumes; fruits in syrup, salted nuts; salted or smoked meat; canned fish in oil, cheeses and bread. The processes used include various preservation techniques, cooking methods and non-alcoholic fermentation, in the case of breads and cheese. Most processed foods have two or three ingredients and are recognizable as versions of the original foods (i.e.not reconstituted from them). They are edible by themselves or, more generally, in combination with other foods. The main purpose behind food processing is to preserve Group 1 foods or to enhance their palatability. This group includes ultra-processed foods made from various ingredients and additives, with little or no Group 1 foods, for instance sweetened soft drinks, instant noodles, reconstituted meat products and frozen ready-to-eat dishes. The ingredients used in these formulations are usually the same ingredients used in processed foods, such as sugar, oils or salt. However, ultra-processed food products also include other sources of energy and nutrients that are not normally used in conventional cooking. Some are directly extracted from foods, such as casein, lactose, whey (milk) and gluten (wheat). Many are derived from the further processing of food constituents, such as hydrogenated oils, soy protein isolates or maltodextrin among others. Ultra-processed foods contain additives that are also used in processed foods (e.g.preservatives, antioxidants and stabilizers). However, there are also classes of additives which are used only in the production of ultra-processed foods (e.g. artificial coloring, color stabilizers, artificial flavors, flavor enhancers, artificial sweeteners, emulsifiers) to mimic or improve the organoleptic properties of the food or to dissimulate unappealing aspects of the final product. A array of processes is used to combine a myriad of ingredients to create the final product, thus ultra-transformed. The processes involved are processes which do not have their non-domestic equivalent, e.g.hydrogenation and hydrolysis, extrusion and molding, and pretreatment for frying. The main purpose of industrial ultra-processing is to create products that are ready to consume, highly palatable and profitable (low-cost ingredients). Ultra-processed food products usually have an attractive packaging and are marketed quite aggressively. The NOVA classification is not only at the heart of the national food and nutrition guidelines in Brazil, but it has also been validated as a tool for research in nutrition and public health. It has been used in the USA, Canada, UK, and even in France to evaluate the impact of ultra-processed food products on many levels. The Nutri-Score used alongside the NOVA classification in the shopping list feature of the DietSensor app, are powerful and effective tools which can help consumers to dodge pitfalls and choose products that are really healthy. The user scans the barcode of food products in supermarkets and get to discover the Nutri-Score and the NOVA Group of the food, if available. He will also get a list of alternative products that are processed to a lesser extent or have a better nutritional value. Try to choose the most natural and least processed foods possible! To stay healthy, avoid as much as possible the Group 4 of the NOVA classification! 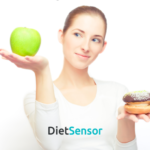 when a food product is poorly rated by the Nutri-Score, use DietSensor to manage the fat and sugar content! Does Portion Size Really Matter for Healthy Eating?